While on the road over the last couple weeks I had almost no time to enjoy the surroundings, which is the ultimate truth of business travel: it sounds exotic but in reality is just a long commute filled with hotels and office meetings. 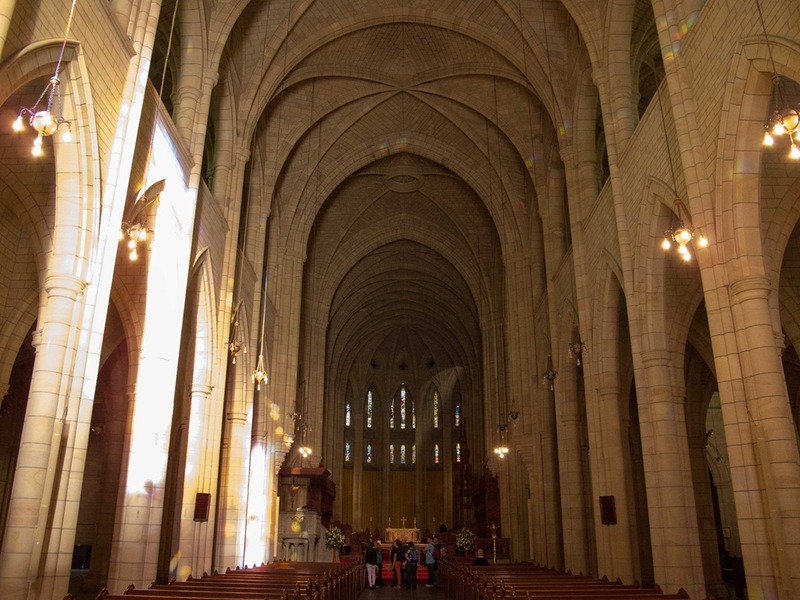 St John’s Cathedral is the Anglican cathedral of Brisbane and the metropolitan cathedral of the ecclesiastical province of Queensland,Australia. 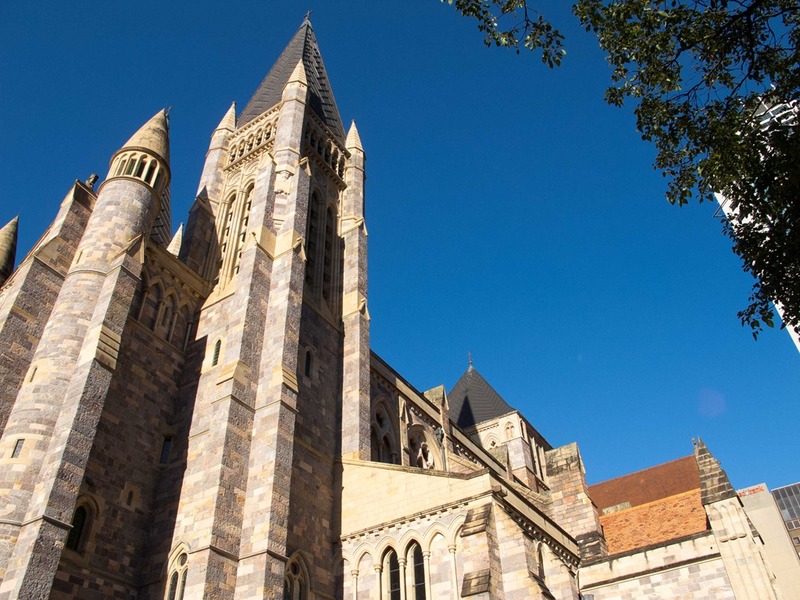 The cathedral is situated on the outskirts of the city centre and is the successor to an earlier pro-cathedral on William Street in the heart of the central business district which was predated by All Saints Wickham Terrace (1862), the oldest Anglican church in Brisbane. William Webber – the third Bishop of Brisbane and previously a vicar in London – was instrumental in initiating the Brisbane cathedral project. 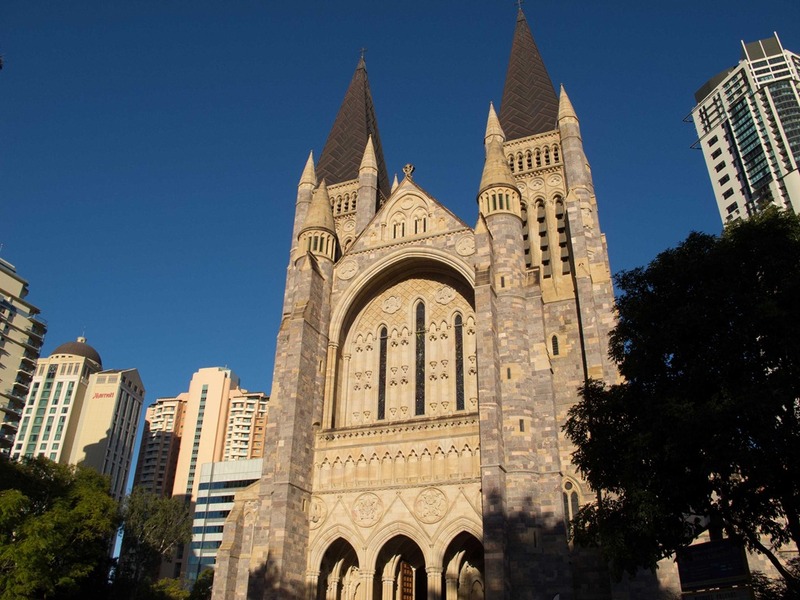 In 1885-86, he commissioned John Loughborough Pearson to make sketch plans for Brisbane cathedral. 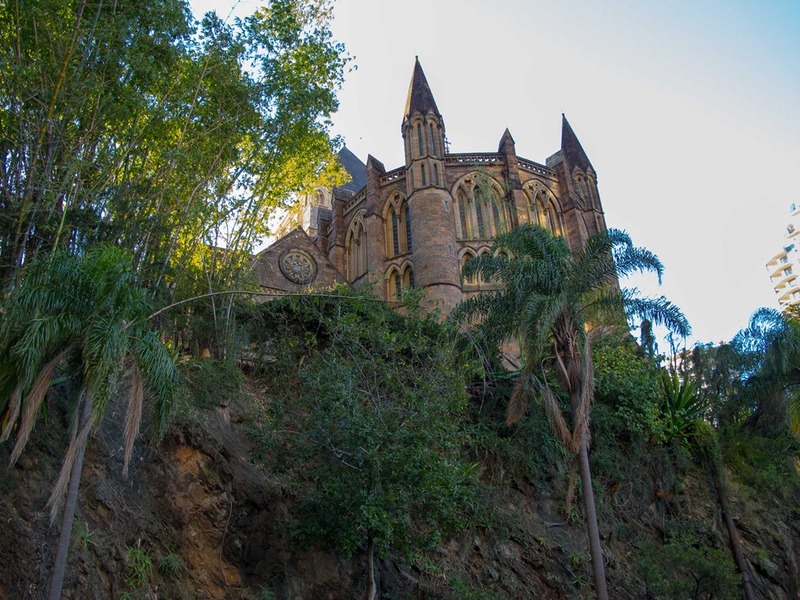 The Brisbane cathedral movement began in earnest in 1887 as a celebration of Queen Victoria’s Golden Jubilee – St John’s was to be paid for by public subscription but the construction of the cathedral in one campaign was found to be financially impossible. 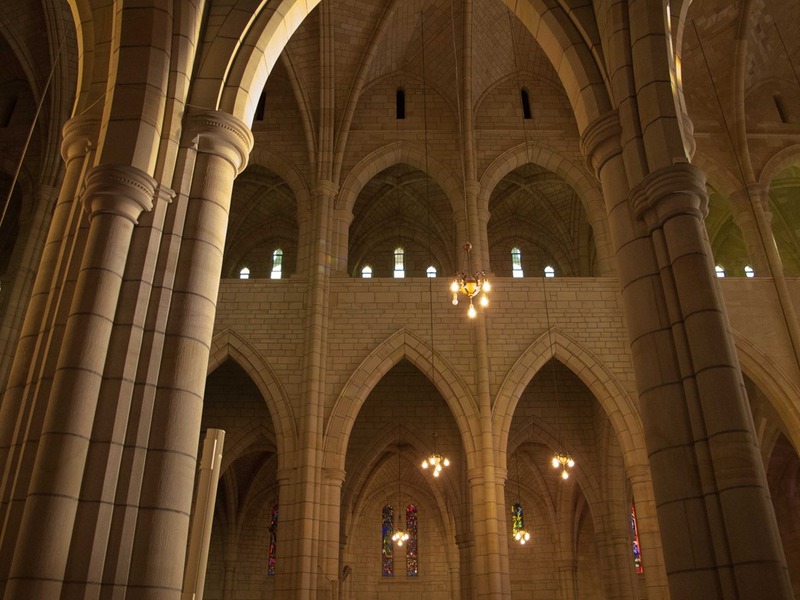 As a result, the building has been executed in three stages over two centuries between 1906 and 2009. The church is perched on the top of a small cliff. Construction of a downtown must have lead to the engineers blowing this side of the hill out. There is so much sandstone, the church had to buy their own quarry. As an aside, one of the few blue sky days I saw in a few weeks (And short lived). The central cathedral is European in scale. As spectacular as most that we saw during out time in the UK. 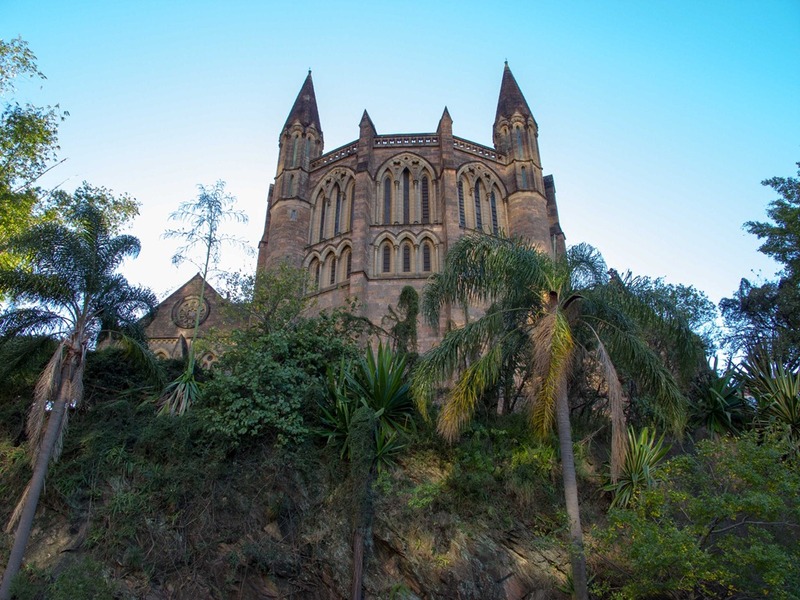 This entry was posted in Our Asia Adventure and tagged Anglican, Australia, Brisbane, St. John's Catherdral by michaelweening. Bookmark the permalink.